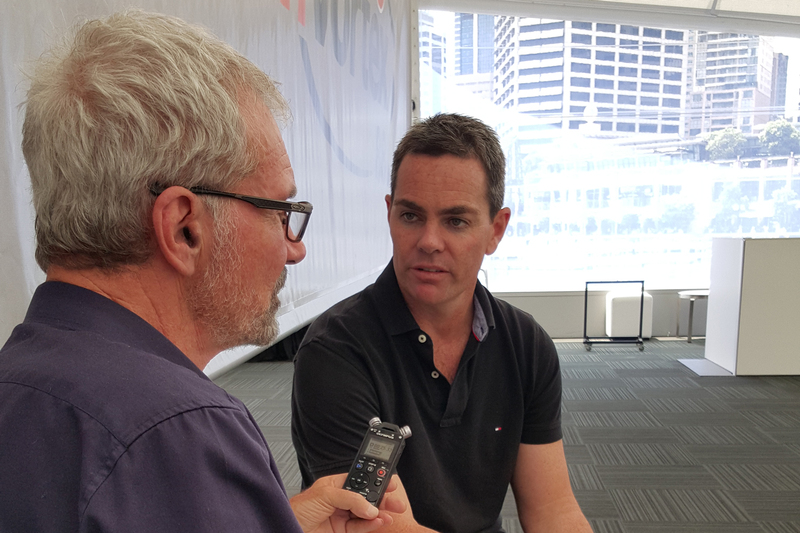 'Five Minutes with Foges' is a new regular feature in which V8 Supercars personalities open up to our probing pundit in a rapid-fire format for v8supercars.com. 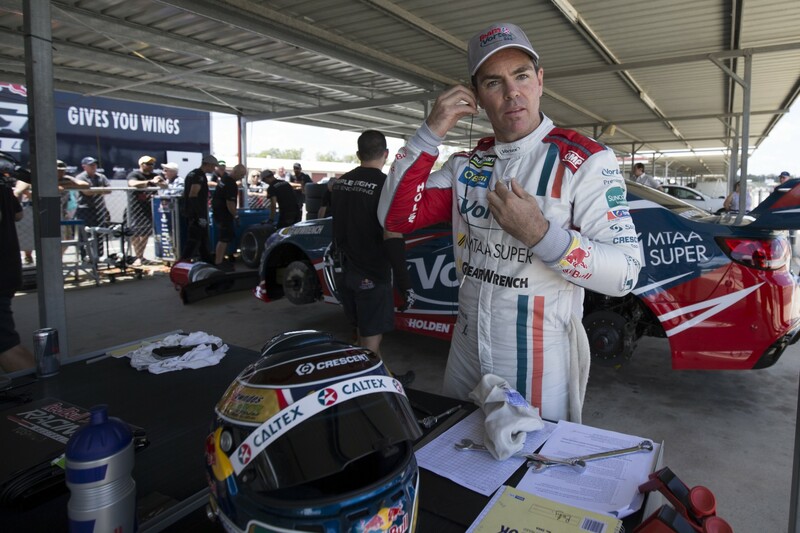 First up is evergreen veteran Craig Lowndes, who becomes the most experienced driver in ATCC/V8SC history this weekend as he bows Triple Eight’s new TeamVortex entry. MF: At the Clipsal 500 Adelaide, you’ll achieve a new milestone: a record 251 events. How does that make you feel? CL: In some respects, it makes me feel a little bit old. To be able to be around long enough to be able to have a number like that is quite incredible. It shows that we’ve had a great career in the sport. We’ve been lucky enough to be involved in the sport long enough to move clear of Russell Ingall. With the longevity Russell had in the sport, it’s a great milestone. Are you going to keep racing as long as Ingall? I don’t know. That question of retirement is easily answered for me. I’ll continue racing as long as I keep enjoying and I’m competitive. The competitive side of it is the more important factor. There’s no doubt that if I can stay competitive, I’d like to be around for a number of years. That is really the telling factor for me and, of course, the enjoyment side of it. 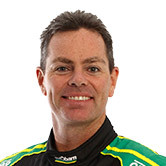 It’s also the 20th anniversary of your first full season in V8 touring cars. Are you surprised to still be here and still running at the front? To be honest, yes. There are never any guarantees in this sport, but I’ve been fortunate enough that most of the teams I’ve been with over the years have been front-runners and championship contenders, and that’s something that’s definitely helped me in the results. Hopefully, I’ve also contributed to those teams. I’ve been lucky enough to be around for two decades and I’ve seen several generations of car and, of course, every time there’s a new-generation race car, we’ve been able to adapt to it. Is it getting tougher every year, both competition-wise and personally to keep pushing yourself? The competition side of it is definitely getting tougher. There’s no doubt there’s a lot of great young talent coming through the ranks. 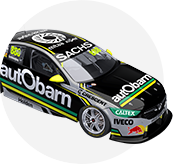 For me the motivation is – and always has been – that you want to beat your teammate and having a teammate like Jamie Whincup has kept my motivation very strong. What keeps you so young, mentally as well as physically? That’s a good question. I’ve always enjoyed the sport. I love the sport. It can be stressful, but I’ve probably had a healthy balance throughout my career. I’m a person that doesn’t have to eat, drink and think racing 24/7. It’s nice to get home and tune-out. Your new wife Lara must help. Punching above your weight there, aren’t you? [Laughs] Lara is fantastic. It’s great to be remarried and I’m looking forward to the future together. Lara understands the industry, which is even better for me. She helps me out enormously at race weekends and away from the track. You’re going to have a great ringside seat for what promises to be a ferocious battle between Jamie and Shane van Gisbergen. Oh, for sure. There’s no doubt about that. Gizzy is an up-and-coming young driver. We know he’s extremely quick and now having dealt more directly with him during the pre-season test day, I can see he knows what he wants from a car and he’ll be a great asset to the team. But I also think he’ll be a very competitive rival for Jamie. There’s no doubt they’ll have some great battles on-track, although the rules from Roland (Dane) will still apply. He allows us to race each other as long as we don’t make contact, and they’ll be under the same strict instructions as Jamie and I were – and still are, of course. Going into the Clipsal 500, how’s your collar bone? Any concerns at all? No, no, I’m more confident now, especially after the test day. I drove the car all day and the shoulder didn’t give me any drama, so I’m more confident it won’t be an issue at Adelaide. It’s a much more physical track, but we’ll have had two weeks since the test day to really make the collar bone stronger and for me to be more comfortable inside the car, so I’m not expecting any unforeseen dramas. Time to give up riding motorcycles? No way. I was on two wheels long before I was on four wheels. Roland has a heathy appreciation of motorcycles and he knows that I’ve used motor bikes throughout my career for training and recreation. Touchwood, this has been the worst accident. I’ve done a lot of kilometres on motor bikes and never had a bad injury before, so Roland isn’t too concerned – or hasn’t told me he’s worried – about me continuing to ride motor bikes. For more with Lowndes about his past and future, see his big interview with Foges in this week’s Clipsal 500 Adelaide-eve issue of Auto Action magazine, out Thursday (March 3).